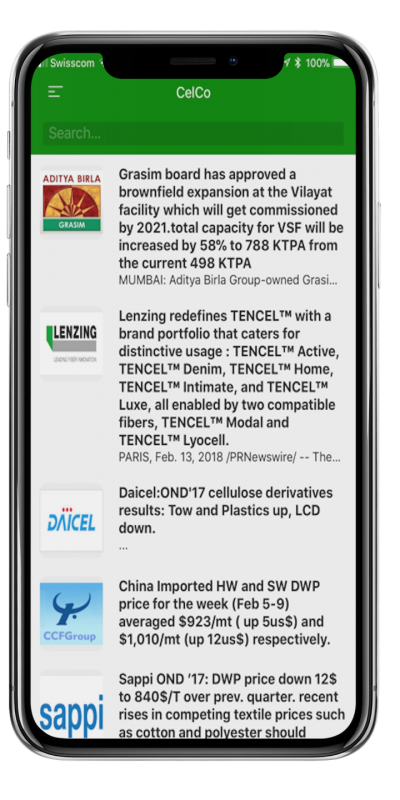 The CelCo mobile application © grants you access at your finger tips to latest specialty cellulose news, futur upcoming events pertaining to our industry as well as a myriad of monthly price and volume indexes specific to the cellulose industry . All this is now possible due to the quality of the data CelCo extracts from customs statistics and analyses monthly as well as the news search engine developped in house. 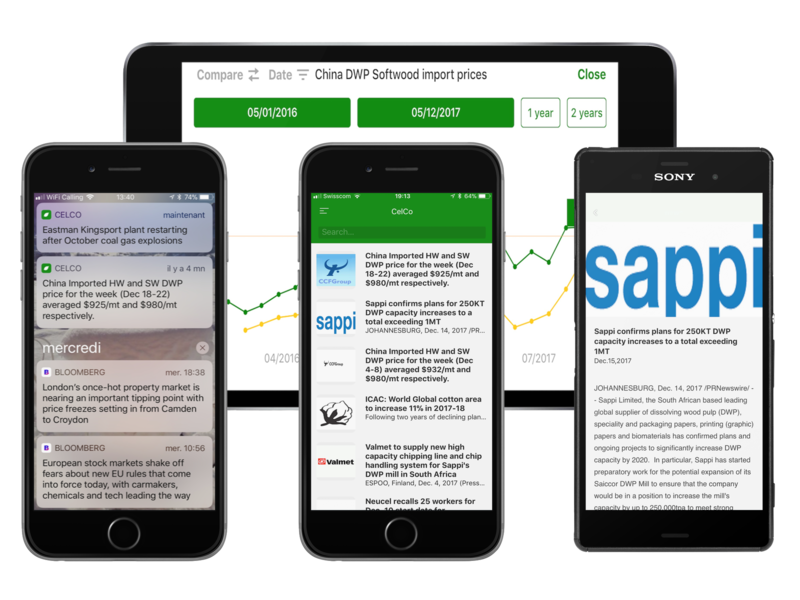 Use the function “News” to read latest market news .You can even have those news “pushed” to phone or tablet if you so choose ! In case you would like to make an announcement to the market please let us know and it will published on this page immediately to the entire industry worldwide ! Use the Index function to visualize all monthly indexes tracked by CelCo and CCF for China. Select the indexes you are interested to follow regularly and discover changes since previous month or visualize graphical trends for the last 6 months up to the last 5 years. 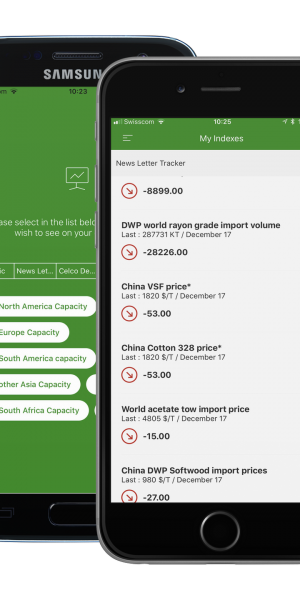 CelCo publishes as well a monthly World Price Index (CWPI) for the total industry, for rayon grades as well as for specialty grades. Those indexes are stemming from public data and checked by CelCo. Recorded since 2000 CWPI represents a fair indicator of market changes that can be used for benchmarking purpose or even price indexing. 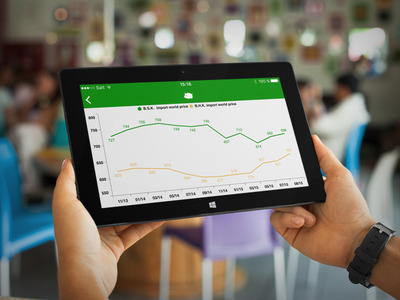 Flip horizontally your mobile phone or your tablet and a graph will appear with a selection of time periods from last 6 months up to the last 5 years for you to choose from.